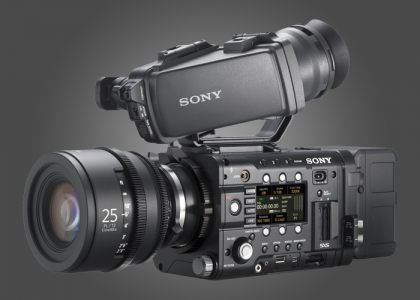 For incredibly vivid HD, start with the 4K imager of the Sony F5. You’ll get superior, super-sampled pictures with noticeably higher contrast, rich color reproduction and greater clarity. This is the next generation of the incredibly popular F3 and offers robust built-in recording modes, all with vibrant 4:2:2 color. Irresistible options include the amazing precision of 16-bit linear RAW 2K/4K recording and high speed shooting at up to 120 fps without cropping.